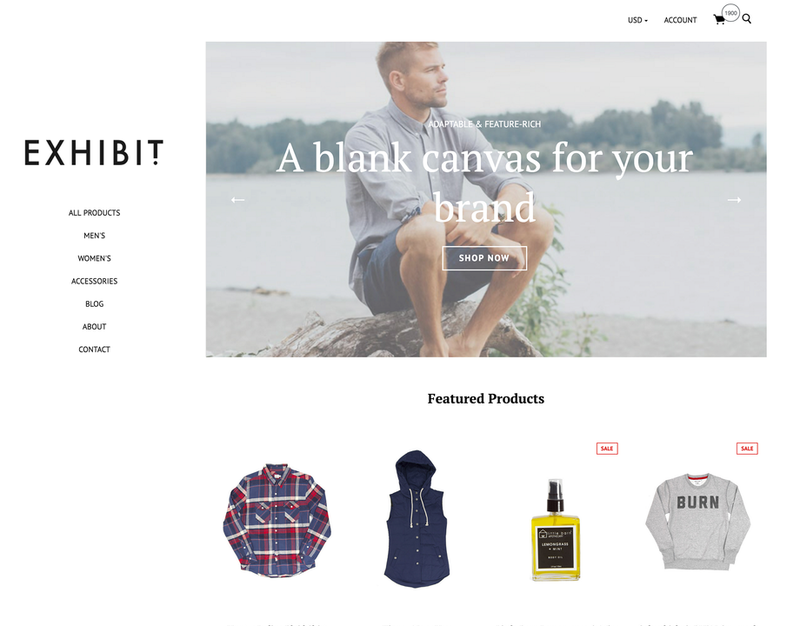 Exhibit is a handsome and feature-rich theme optimized for small-to-medium-sized catalogs. Classic sidebar navigation and distinctive blog post treatment combine to create a design that's enduring, unexpected and easily brandable. 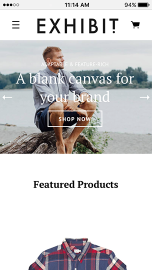 Exhibit your products with a theme that does them justice.